New arrivals can check into their rooms after 1pm each day up till 1am. Should you expect to arrive outside these times please email us on reception@elephantbackpacker.com.au to discuss if we can check you in. Guests may arrive earlier and leave their luggage at the hostel but access to rooms will not be granted until after 1pm. Departing guests must remove all their belongings from their room, and check out, before 10am. After this time guests may make use of the luggage storage facilities but all possessions must be removed from the room and the security card handed back to reception. You do not have to be a member of any organisation to stay at Elephant Backpacker. The hostel is for international backpackers only. An international passport or acceptable photo id must be presented at check in for all guests. Failure to provide the correct documentation will mean you cannot check in and no refund will be given. Check out is at 10am and guests must hand all security cards back to reception and bring bed linen from room to reception. Bookings cannot be accepted from any person under the age of 18 unless they are accompanied by an adult (over 18). If there is a guest under the age of 18 this guest as well as their chaperon must be in a private room as we are unable to accommodate an under 18 in a dorm. Unlike some hostels we do not have an upper age limit. Most of our guests are backpackers in the 18 to 30 age range. Please be aware that you may be assigned a top bunk! The comfort, safety and security of our guests is of paramount importance to Elephant Backpacker. Any guest(s) who, in the opinion of our staff, compromise the comfort, safety or security of other guests, staff or local residents will be requested to leave the hostel premises and will not be offered a refund. Guests are expected to respect other guests, staff, local residents and property. In the case of groups, the group leaders must ensure that all members of their group behave in an acceptable manor. Failure of any individual group member to do so will result in the expulsion of the whole group. The consumption of alcohol in our hostel is prohibited except in the licensed cafe. Any guest found drinking alcohol in our hostel will be evicted without refund. Smoking is not permitted anywhere on the premises nor on the footpath outside the hostel. Any guest found smoking within the building or outside on the footpath will be asked to leave the premises immediately and will not be offered a refund. Please see our No Smoking Policy for further clarification. Guests may leave their luggage in an area located next to reception however it remains the guest's responsibility to ensure that their personal belongings are secure at all times. Guest are only able to leave their luggage for 24 hours. Elephant Backpacker accepts no liability for the loss, theft or damage to property however sustained or caused. Please bring a padlock to use with your locker. Guests will be expected to reimburse Elephant Backpacker for any damages caused by inappropriate behaviour during their stay at Elephant Backpacker. Upon check in guests will receive a security card and/or room key for access to both the hostel and their room. These cards are activated for the period of stay only and must be handed back to reception on check out. Failure to return the card will result in a $20 charge which may be charged against the customer's credit card. Except in relation to death or personal injury caused by our negligence Elephant Backpacker's liability remains, at all times, limited to the value of the services booked, excluding any amendment charges paid to us. 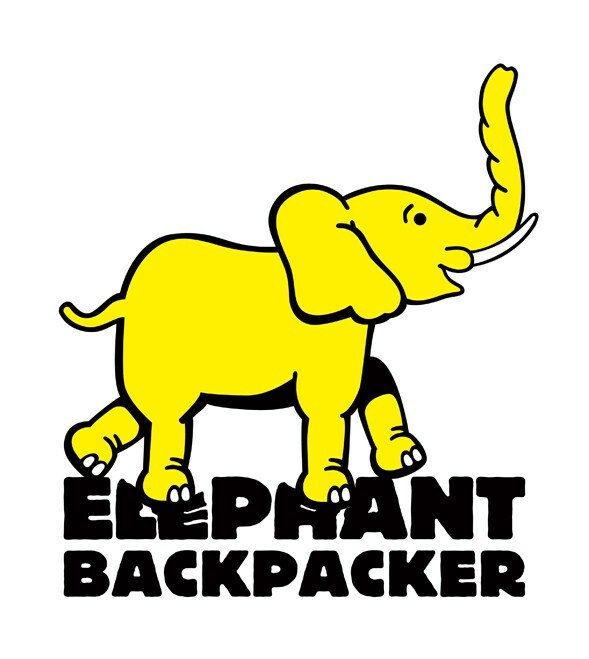 Elephant Backpacker shall only store and use information you supply to us or which is supplied to us for the purposes of carrying out our contract with you and to inform you of other services and offers which we make available from time to time. If you do not wish to receive such information please let us know by emailing us at reception@elephantbackpacker.com.au or by writing to us at Elephant Backpacker, PO Box 700, Vaucluse NSW 2030, Australia. Any omission or error in sales literature, web pages or site, order form, quotation, price list, order acknowledgement, despatch note, invoice or other document issued by us may be corrected by us without liability. We will advise you of any changes at the time of booking or as soon as is reasonably possible thereafter. All bookings are subject to availability and Elephant Backpacker reserves the right to decline any booking at its discretion. We will refund your full accommodation payment if you provide written confirmation (email) 48 hours notice to your date of arrival except for New Year Bookings and private rooms. Conditions relating to New Year bookings are different and will be specified at the time the booking is made. In the case of a late departure, Elephant Backpacker reserves the right to charge for a further nights stay at the appropriate rack rate of the bed(s). Management discretion will apply. Also, if you stay in the hostel without paying or notifying reception of being "in-house", we will charge your credit card at the appropriate rack rate for the bed type and length of stay you have been found to be in the hostel. Our hostel caters for international guests and bona fide travellers. We are not a boarding house and guest deemed to be staying long term will be asked to leave at the expiration of their paid booking. Management discretion will apply. All bookings made directly on our website are for members only and they will receive a 10% discount than any other price online. A $1 membership fee will be charged at check-in per person. This membership fee entitles you to lifetime discounts on accommodation, cafe discounts and all future promotions.